While standard irons are great for delivering the distance you need to successfully play a game a golf, they can be tricky to use. If you don’t use them perfectly, you’re not going to get the best results. Chances are, your swing isn’t perfect every time. To make up for less than desirable swings, game-improvement irons are available. Regardless of their skill level, many golfers choose to go with these irons for a variety of reasons. They can provide better distance and accuracy while helping to improve overall technique. Essentially, a game improving iron is an option that allows you to hit with more precision, height, and distance. They were introduced to the golfing world in the 1960’s and have since become very popular among both novice and seasoned players. 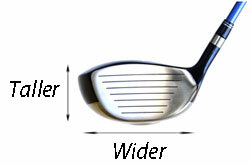 Club manufacturers use the physics behind the game to come up with unique designs. Essentially, these irons improve the club’s performance by increasing the head’s moment of inertia. This is more forgiving, allowing you to hit the ball on the head’s “sweet spot” for more force and control. Other factors, such as the weight and loft, are also manipulated for a better shot. While there are no measurements that define how much a club will improve your game, manufacturers use a number of design elements to ensure that your swing is successful. 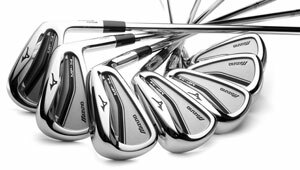 This makes it easy to distinguish standard blade irons from game-improvement irons. Game improvement irons often incorporate cavities in the design. Some are built inside and are unseen, resulting in a hollow head. However, the most common type of cavity you will see is located directly behind it. The extra material that would have otherwise filled the cavity is placed around the head’s perimeter. This is known as perimeter weighting. This design element increases the iron’s moment of inertia, which determines how easy it will be to set the ball into motion. When you strike the ball with a normal iron, you must hit it directly in the center of the head to have a high moment of inertia. If you don’t, the club head will vibrate or twist around the ball. The cavity and perimeter weighting reduces the vibration and twist, even if you don’t hit it exactly where you should. Basically, it gives you a larger “sweet spot” on the club head so you can hit the ball farther and with more accuracy. Another common design element is extra weight on the iron. 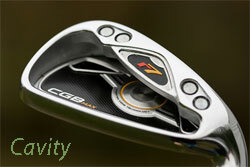 Game improvement irons have weight on the bottom of the head to lower the club’s center of gravity. With this weight, the ball will have more height after you hit it. In turn, you will notice that you get more distance than ever. Larger heads are used to give you a better chance of hitting the ball in the right spot. These game-improvement irons are often labeled as “super” or “max.” They are both taller and wider than standard irons. When coupled with a cavity, the large surface area provides a higher moment of inertia and gives you a bit more leeway when taking your swing. An offset face improves your ability to hit the ball straight on as well. With standard irons, the clubface can easily push or slice the ball because it was not squared off. With an offset face, the leading edge of the clubface is behind the hosel. The hosel is the socket that connects the club head to the shaft. With an offset, you actually have more flexibility and can better square up the face for a better impact. Most golfers use a rigid shaft in their clubs. However, most game-improvement irons have a more flexible shaft as a standard feature. These shafts bend a bit more easily. This may not be immediately noticeable, but it makes a difference in the swing. The extra flexibility allows you to get more force without having to swing as hard. One of the biggest benefits you’ll see from these irons is confidence in your shot. Instead of worrying about every slight movement you make during your swing, you can rest assured knowing that it’ll be successful. The unique design of the head gives you more liberty in your swing. You’ll notice more distance and control. In long irons, you can expect to gain distance that you weren’t able to get with standard clubs. With most game-improvement irons, you will see a few yards of improvement at least. Accuracy is another improvement. Thanks to the increased “sweet spot” on the head, you’ll be able to get the ball closer to where you want it. All in all, game-improvement irons are great for any golfer. Novice players can use these irons to build up their skills while experienced players can use them to see a bit of improvement. There’s no shame in using these irons. In fact, many golfers use them at some point or another. 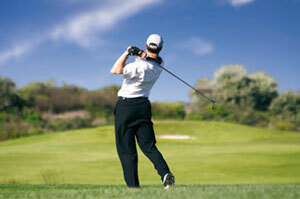 With the right irons, your game will improve, resulting in more success and fun on the course.